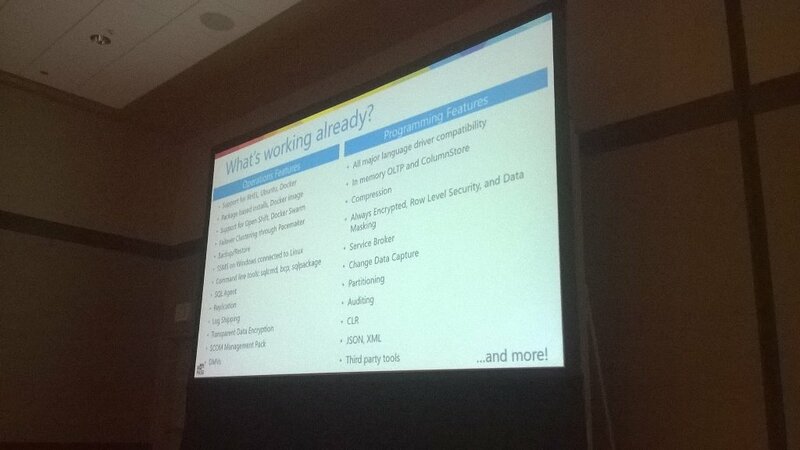 Travis Wright - Can get people on Private Preview if will to run a production workload. Slava Oks - responsible for SQL OS V2, working on improving performance to match SQL Server on Windows. 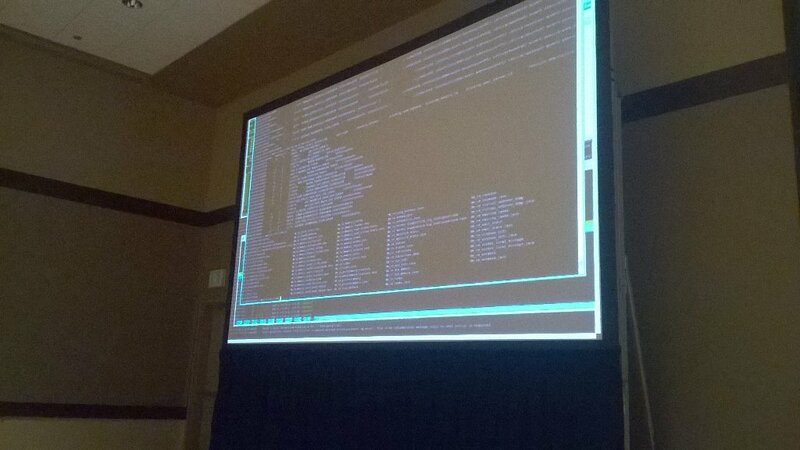 Failover clustering for FCI will be provided via Pacemaker which is the standard failover tool packaged with Redhat Linux and should support other Linux variants so less porting work required by the Microsoft team! There will be a standard "script" type interface to support stop/start actions for clustering. Currently only 1 instance per host, use containers if more are needed, do not forget to map container TCP/IP port to host port! SQL Agent should be in the next private preview, code is done. Taking a backup on Windows, copying the file to Linux and restoring WAS demo'ed with no backup file conversation or conversion options needed! 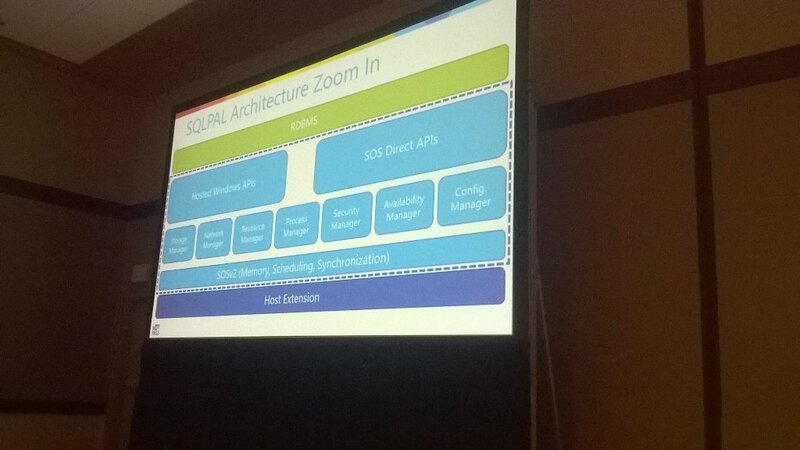 SQLOS is NOT a Platform Agnostic, tied to Windows API! 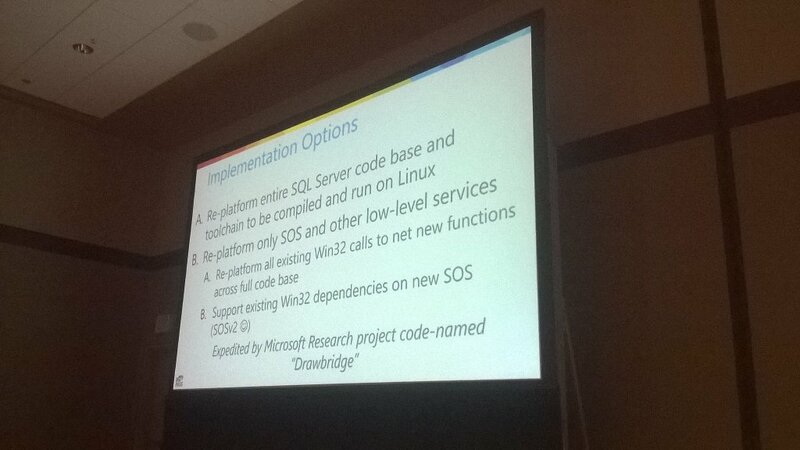 SQL Server on Linux will include a Platform Abstraction Layer (PAL) so the same SQL Server binaries just run(! ), incliuding Service Packs. There will be seperate Host Extension Layers for Windows and Linux. 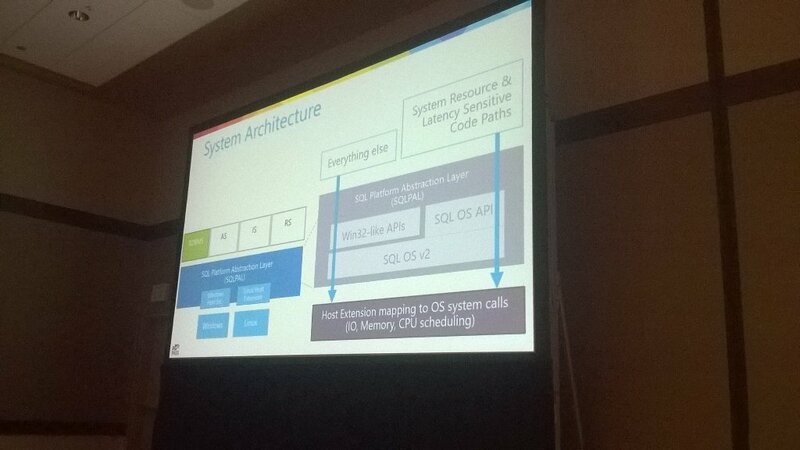 Some latency sensitive calls go via a more direct path to the Host Extention e.g. readfile/writefile, IO completion marked in Host Extension, SQLOSv2 then automatically picks that up. 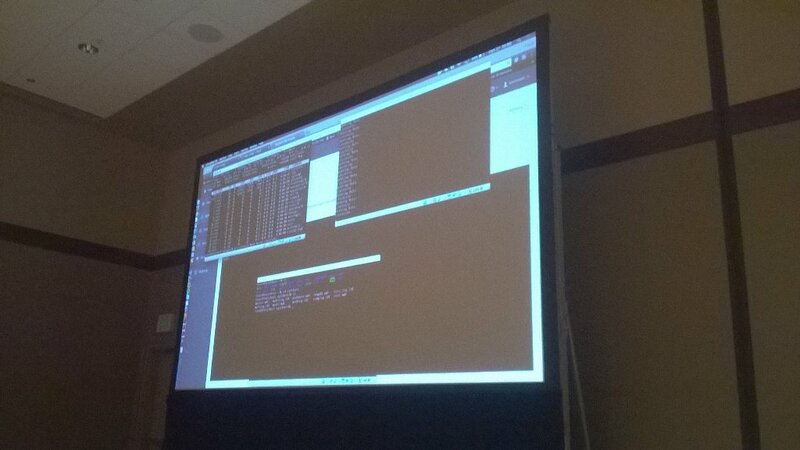 Only completed the day before the talk - SQL Server DMVs via a mounted filesystem like /proc! 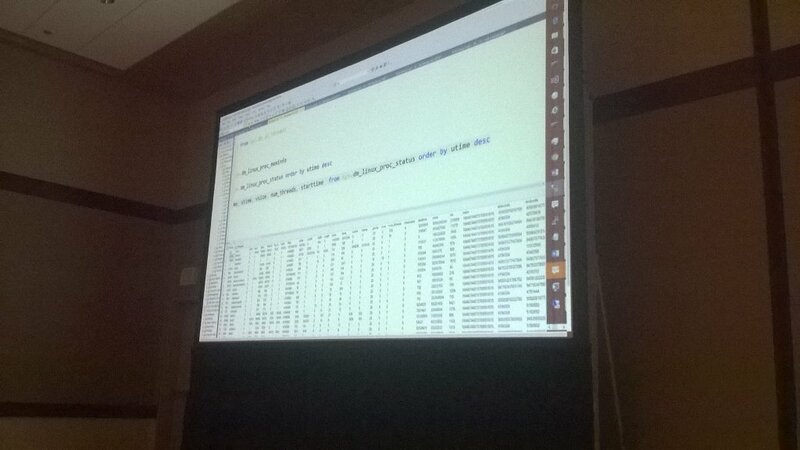 Also for DBAs who like to view everything via T-SQL,/proc visible in sys.dm_linux_proc% DMVs! Saves having to logon to the host.